The process of continuous enrichment of the museum collections has led to the need for an automated system of registration of material cultural values. 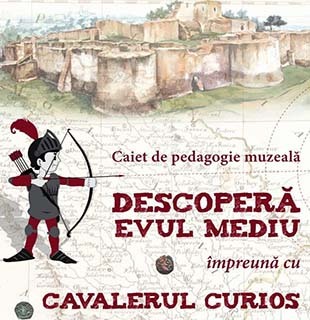 Thus, in 1994 specialists of the Department of Informatics and Programming of the State University of Moldova, in accordance with the program of the museum administration and in collaboration with the Institute for Cultural Memory of the Ministry of Culture of Romania, has created the Automated System for Registration of Museum Collections (ASRMC). ASRMC is a unified system of documentary databases, which includes documents and images on all the collections of the National Museum of History of Moldova, registered through scientific cataloging as a result of identification of the objects, their typology, classification, and grouping on specific criteria. In 1996 the process of creation of the databases for museum collections has started. Since then, the museum staff is working on filling the special analytical cards for the scientific description of the exhibits. These cards arrive in the Department of Informatics of the museum, where operators enter the obtained data in the databases. At present the databases on the collections of the National Museum of History of Moldova contain about 109,349 records on storage units for the following fields: archeology, coins, medals, documents, photographs, books, decorative arts, fine arts, history, and ethnography. Using the Automated System for Registration of Museum Collections provides rapid retrieval of information on the various thematic criteria, cataloging of collections and exhibitions.